Indore: Suffering from a severe shortage of medical faculties, the State Medical Education Department has written to the Election Commission to seek permission to conduct an interview for the post of Assistant Professor’s post at Mahatma Gandhi Memorial Medical College (MGM) Indore. Further action will be taken as per the department’s directive. 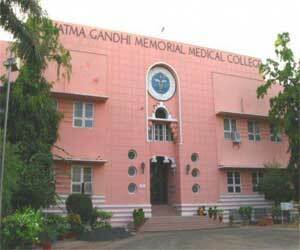 The MGM Medical College had earlier released 49 vacancies for the post of Assistant Professor. The Medical College had displayed the names of shortlisted 51 candidates on 10th March on the official website to appear for the interviews. The interviews were scheduled on 11th and 12th March 2019. However, on Sunday, March 10th, the announcement of General Election was made by Election Commission which imposed a model code of conduct. Therefore, all interviews were cancelled. However, the postponement has indeed put a stop to the hiring process of the medical college. This is the second postponement that has come as earlier candidates were shortlisted earlier and interviews were postponed before due to the inspection visit of the Medical Council of India (MCI). The interviews for posts were scheduled on March 11 but the model code of conduct was imposed on March 10. The Dean of the MGM Medical College, Dr Jyoti Bindal told the Freepress Journal that the department has drafted a letter to the Election Commission to gain permission to conduct the hiring procedure for the Assistant Professor and other posts. The MGM Medical College had shortlisted 51 candidates for interviews on 49 posts of Assistant Professors while four candidates were shortlisted for four posts of Associate Professor and Professor. The recruitment process to fill posts in anatomy, pathology, blood bank, pediatrics and obstetrics, and gynaecology had begun. When a recruitment is in the process then i think it is not violation of code of conduct.